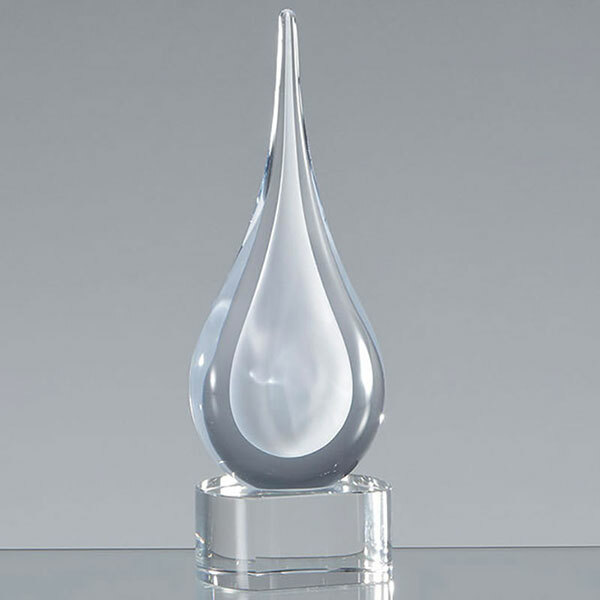 Beautiful teardrop shaped award, handcrafted in clear and white glass and mounted on a semi-circular base made in clear optical crystal. These glass teardrop awards stand 180mm (7in) tall. They can be engraved on the flat front of the semi-circular base and are offered here with text and/or logo engraving options. 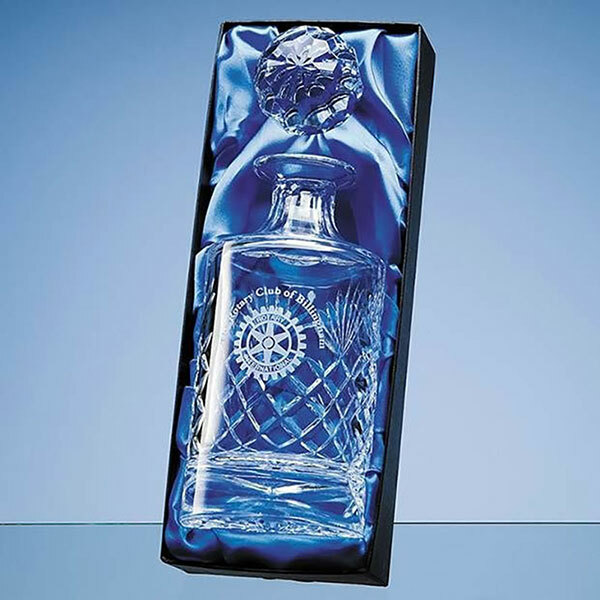 An optional deluxe presentation box is available for your engraved glass teardrop trophy. Size: Height 180mm (7in); Width 75mm (3in); Depth 40mm (1.5in). Weight 800g.